This stylish perennial echinops grows well in the sunny rugosa rose border near the hen house. My foolish son wouldn't take any photos of it for weeks, thinking that it was a weed. 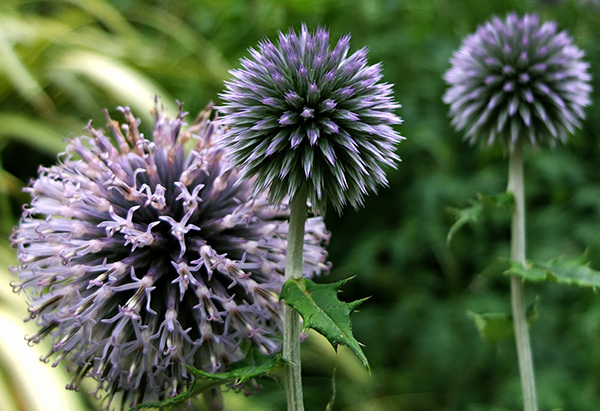 Even though the flower heads are thistle-like, the foliage is not particularly nasty - it's not at all prickly to touch. I have two patches of Echinops, and the bees love them. I find sometimes that the crowns rot away in winter - perhaps my mulching programme is the cause of this. 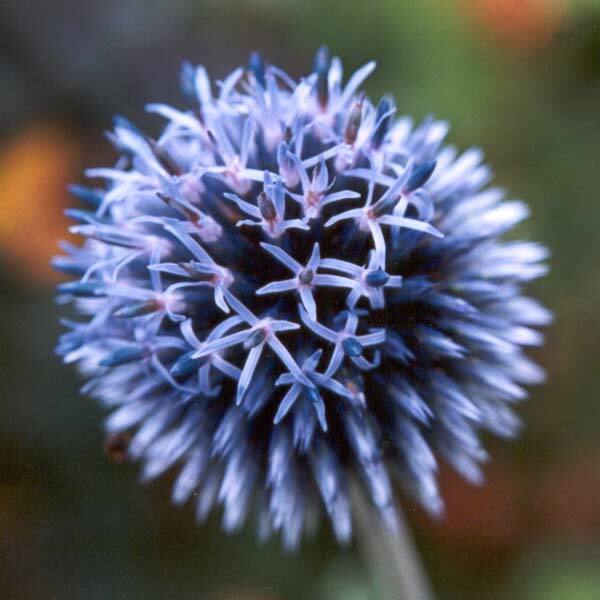 As with many other blue flowering plants, the effect is much stronger if there is a good sized group of plants - thus providing a good contrast with the colours and textures nearby. I find it easy to grow new plants from seed, or from cuttings taken from early shoots close to the ground. This next spring I'll be trying to increase my stock.